It's not just about the most able. We should have high expectations of all students, all of the time. Make it hard it's good for students to find tasks difficult. 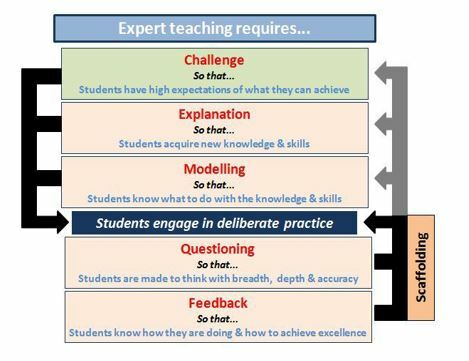 So where does scaffolding fit in and what does it mean? 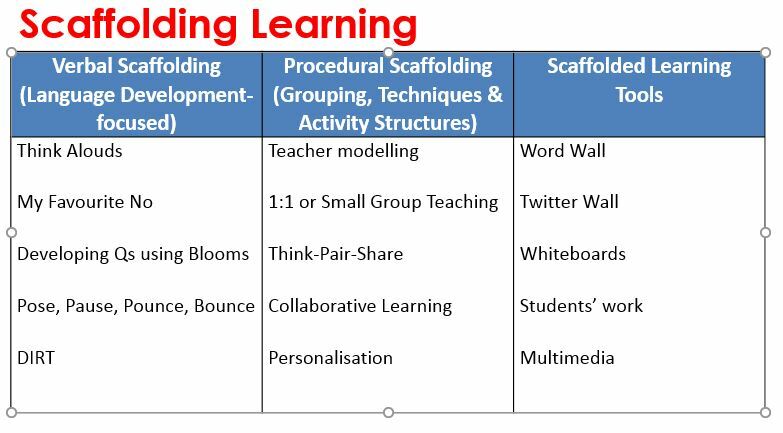 Scaffolding occurs when the teachers model or demonstrate how to solve a problem, and then step back, offering support as needed. This can be done verbally, procedurally or using lesson tools some of which are shown below.